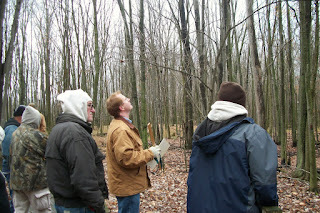 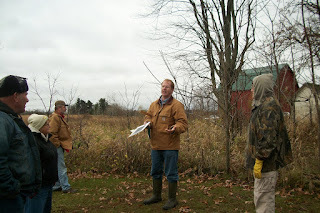 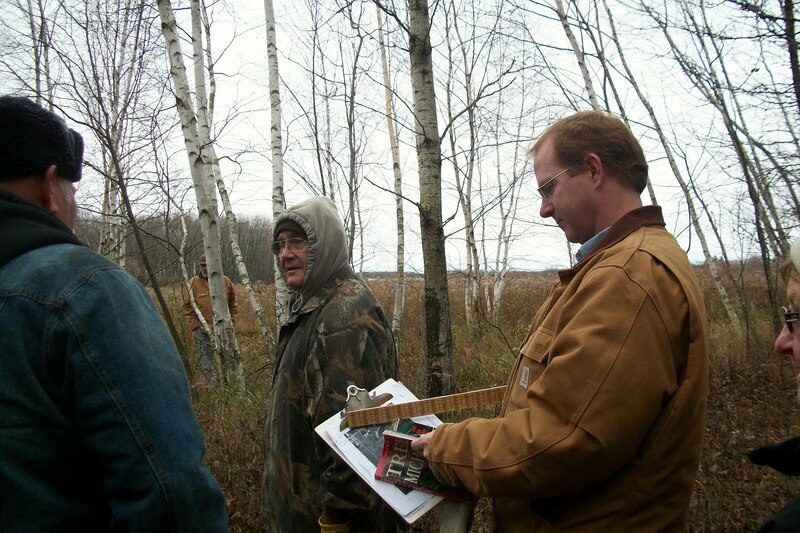 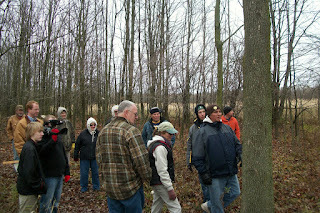 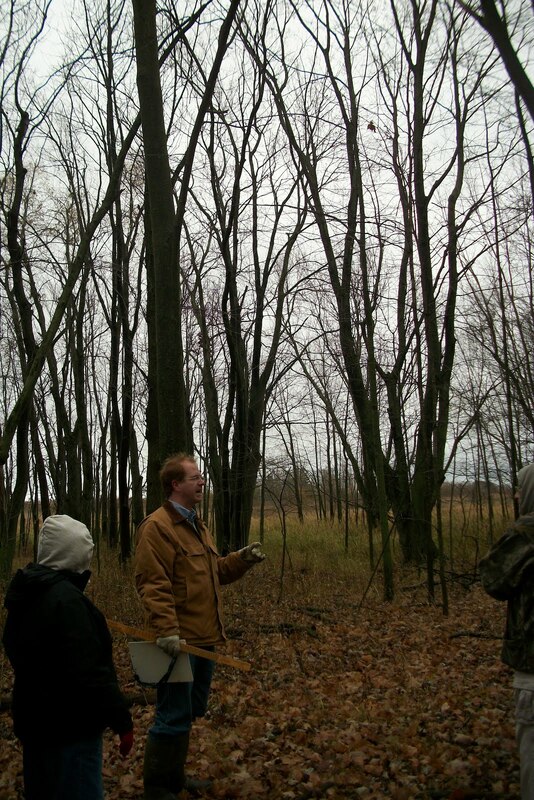 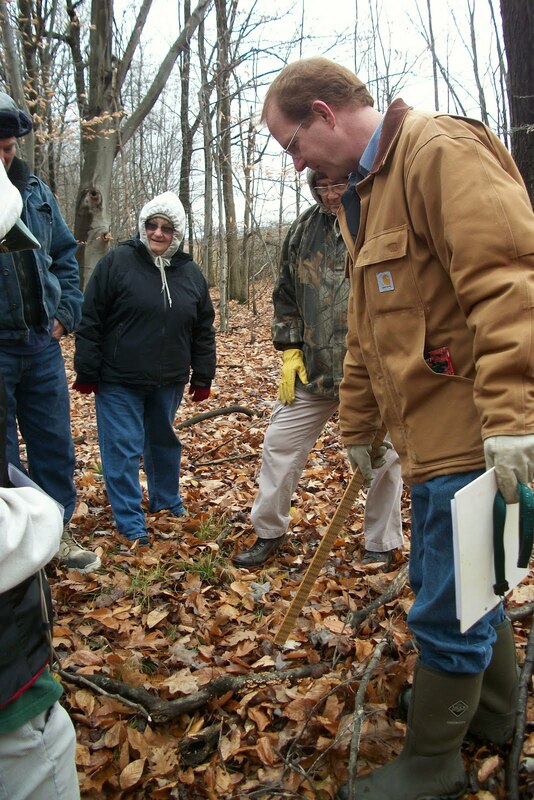 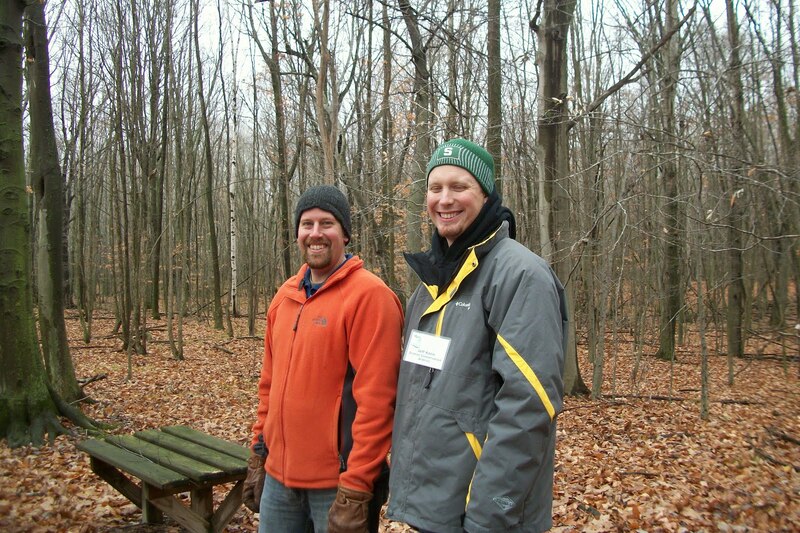 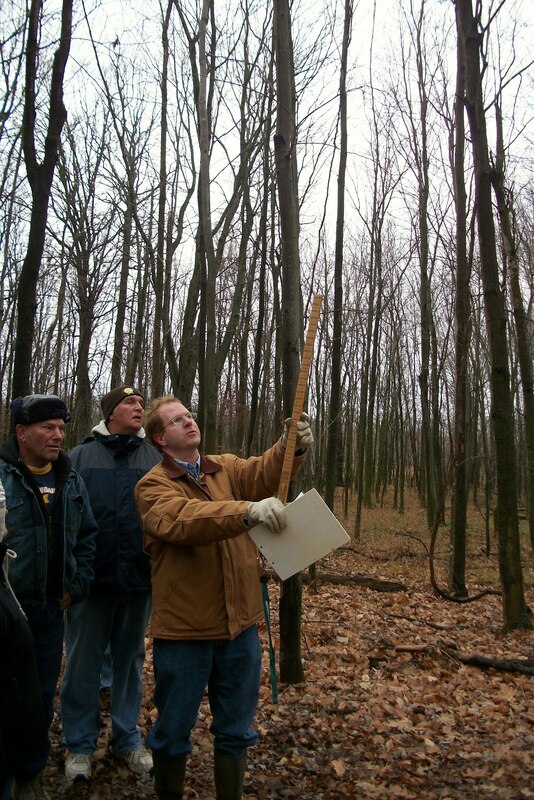 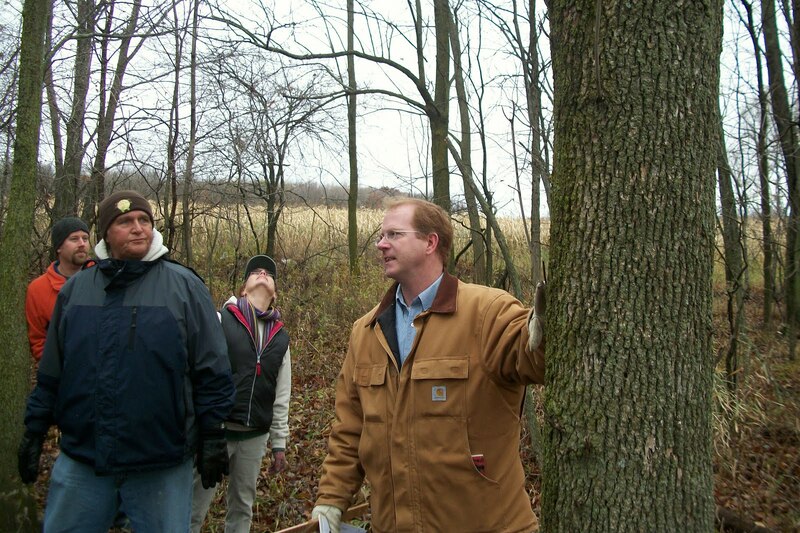 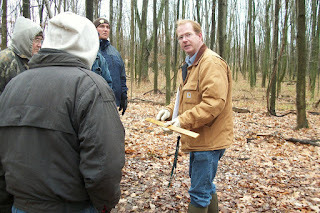 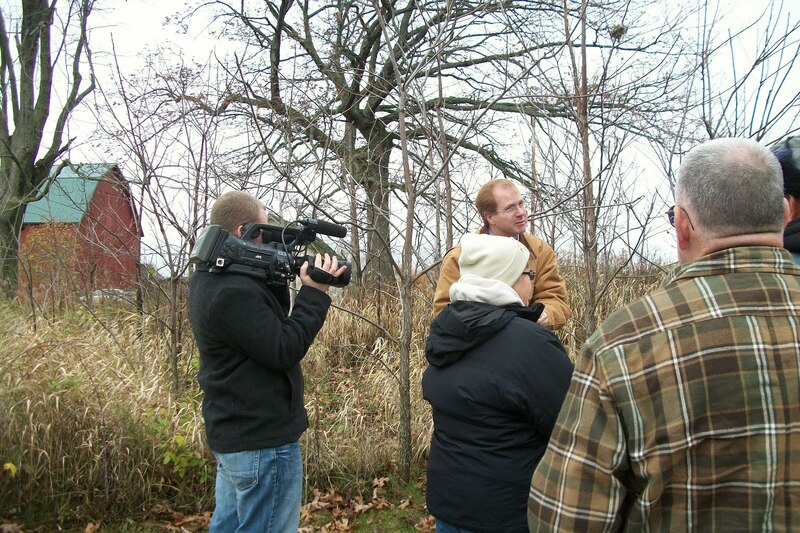 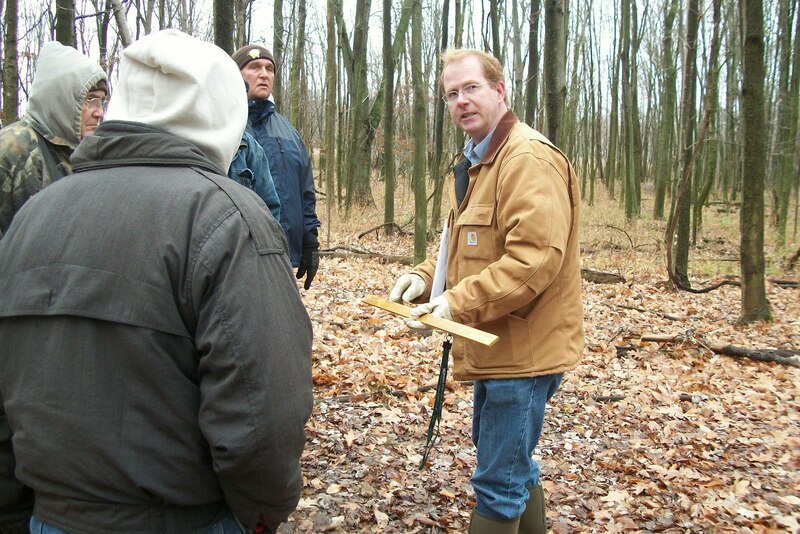 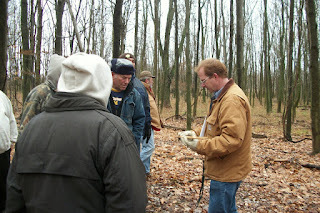 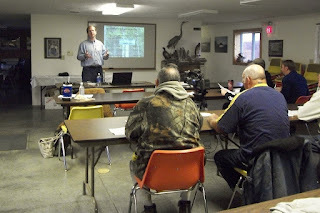 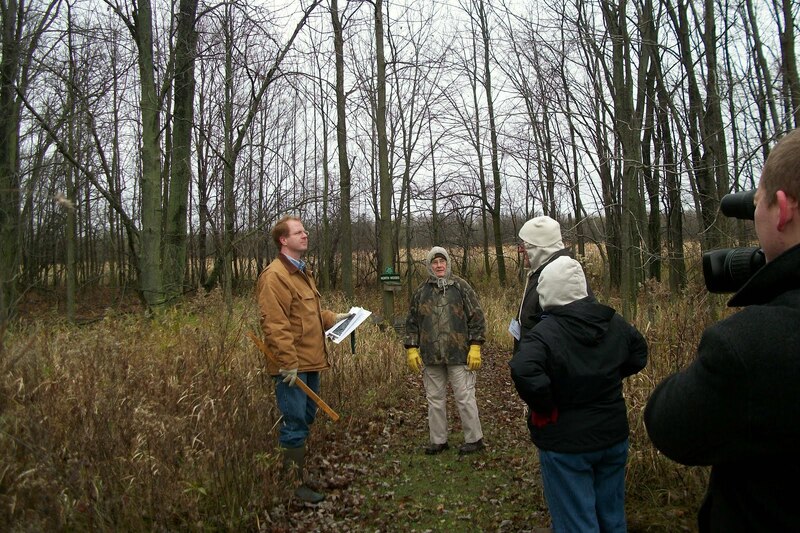 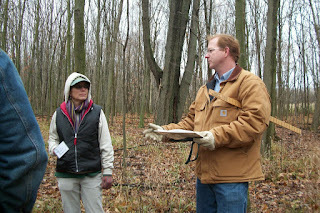 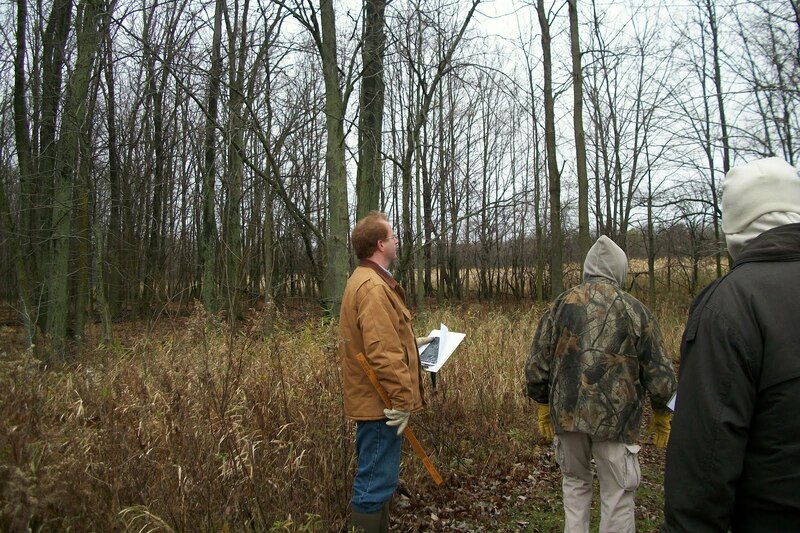 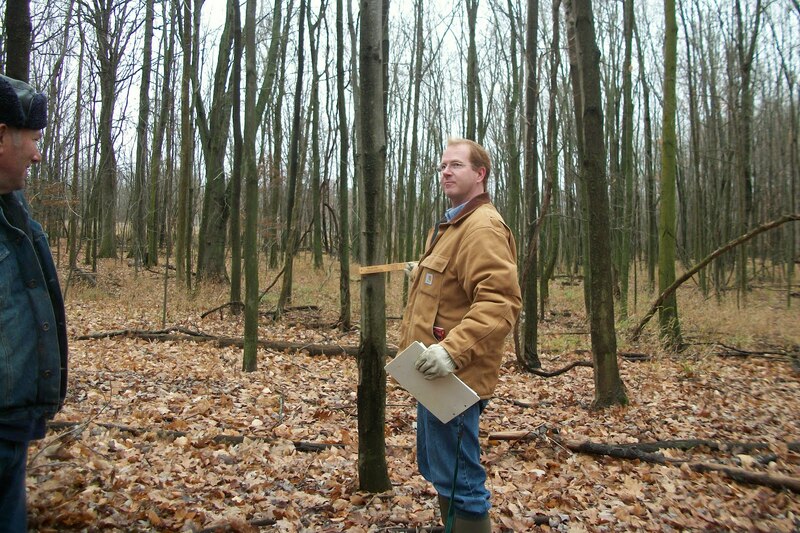 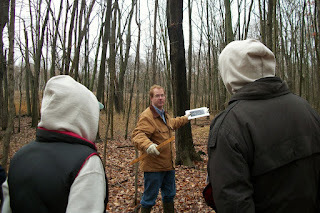 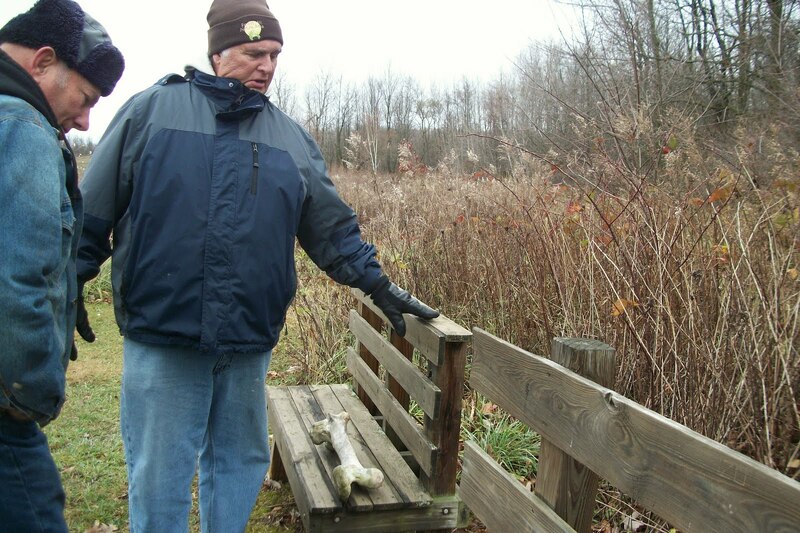 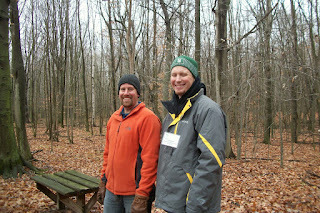 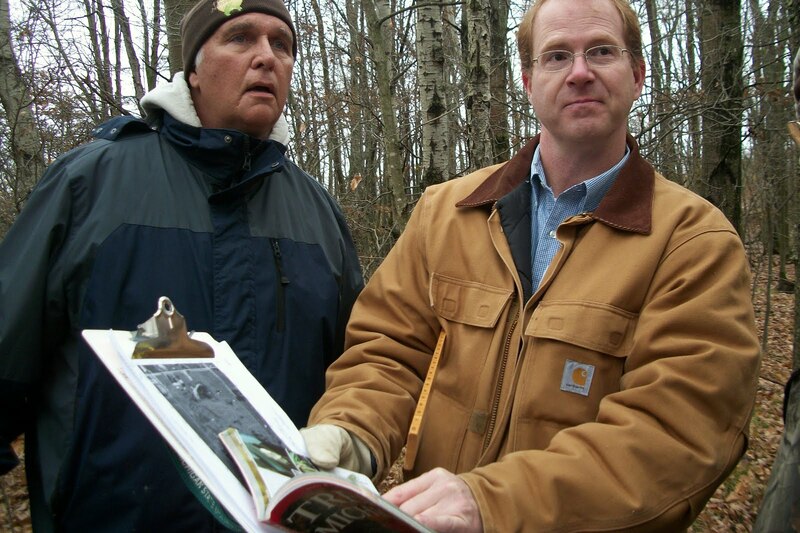 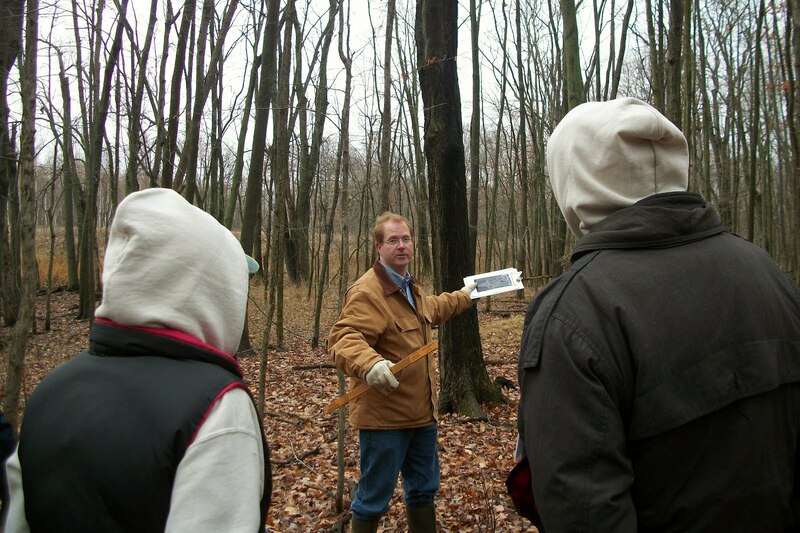 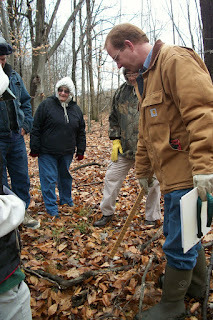 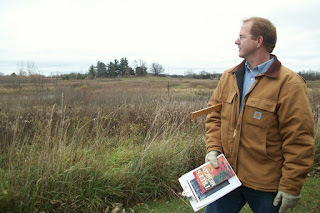 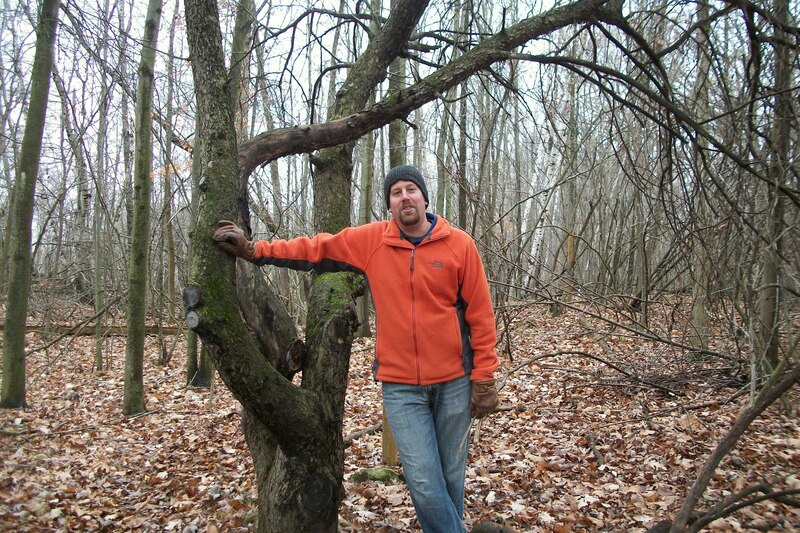 Forest Hill Nature Area welcomed Mike Smalligan, Michigan Registered Forester to teach about forest management at a workshop supported by a grant from the Michigan Association of Conservation Districts (MACD) Workshop Sponsorship Program. 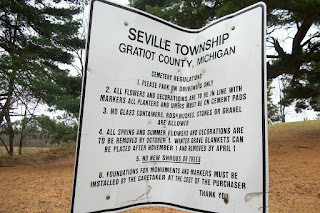 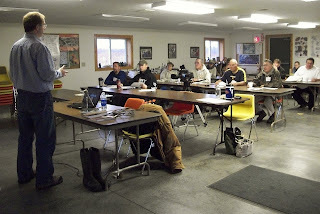 The workshop was hosted by the Gratiot Conservation District with support from the Gratiot Isabella RESD and the Gratiot County NRCS field office. 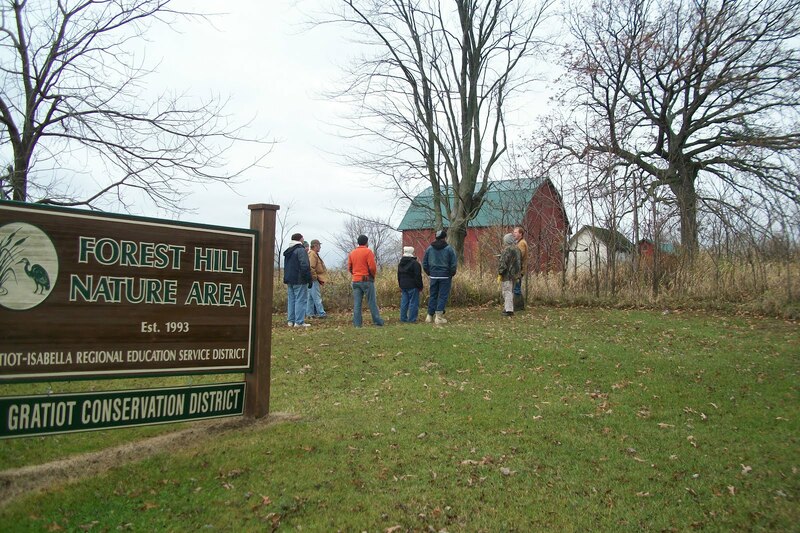 The workshop included a training seminar presented by registered forester Mike Smalligan to a group of guides, teachers and partners of Forest Hill Nature Area who will be involved in a long-term study that will be conducted at the unique outdoor learning center. 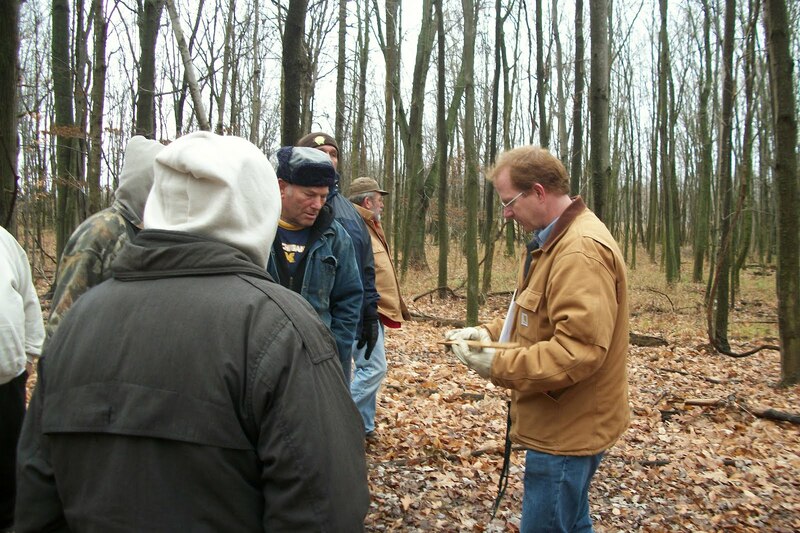 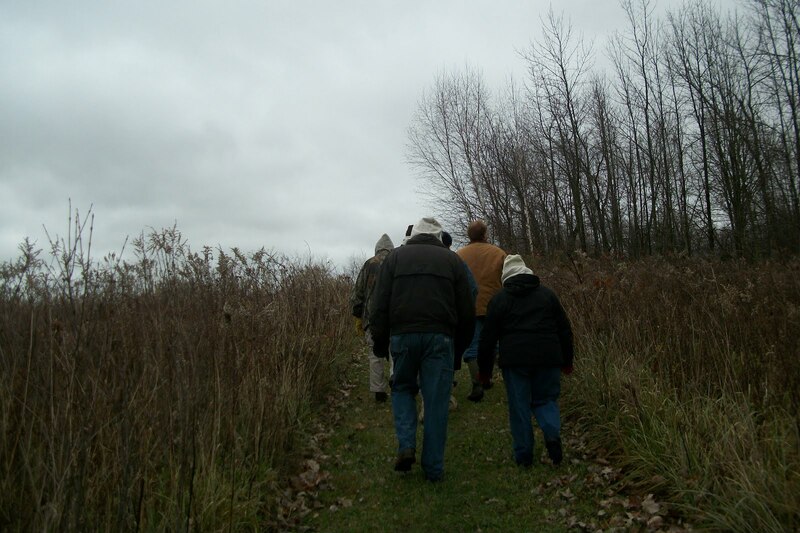 The workshop took the group on a site visit through the forests and grasslands of the Nature Area in preparation for the forester preparing a Forest Stewardship Plan for the property. 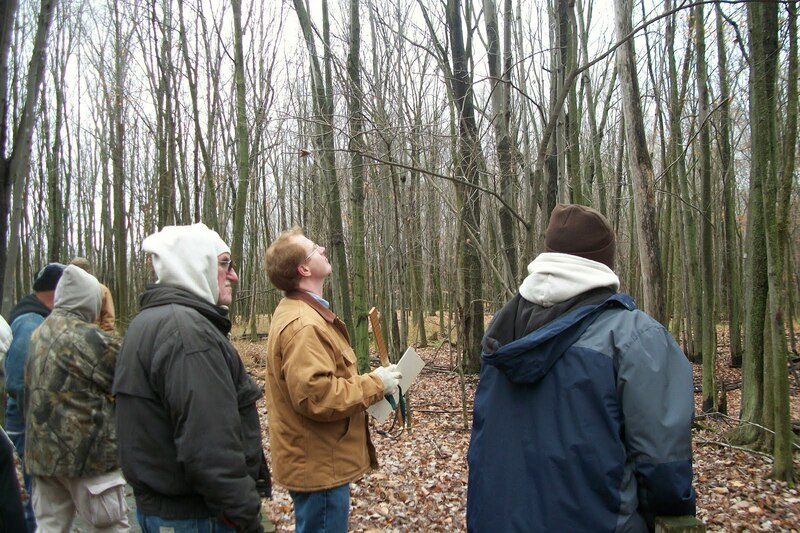 The long-term intention is to enhance the teaching programs by including more forestry education. 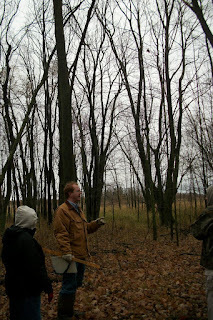 We could incorporate a pruning demonstration into our curriculum, now while the black walnuts are still young. Student film crews from the Mt. 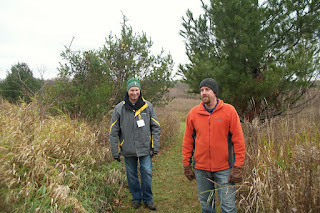 Pleasant Area Technical Center showed up to film the workshop and site visit. 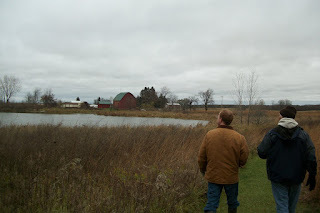 As we headed for the North Woods, we passed by the Mallard Marsh and talked about how it would be good to plant some Tamarack along the wetland environment. 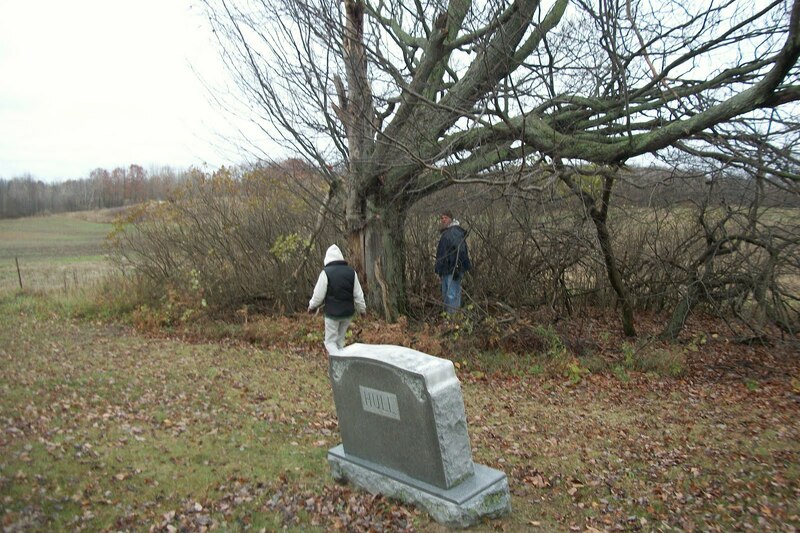 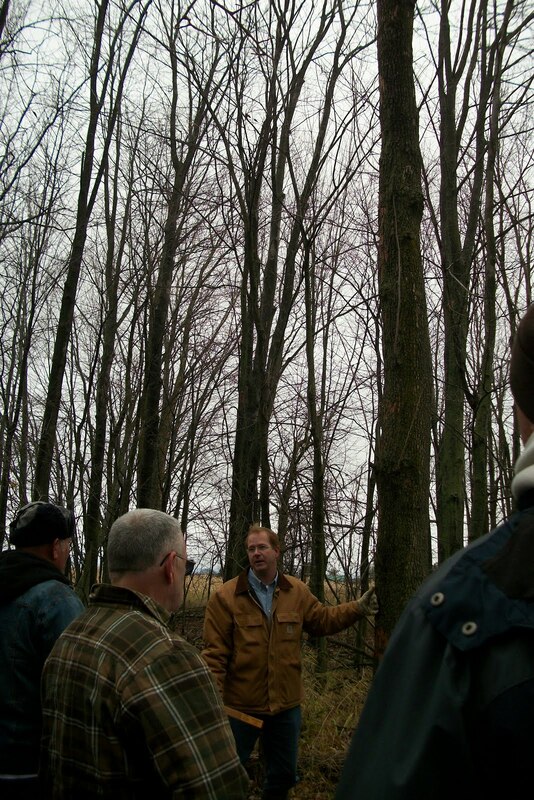 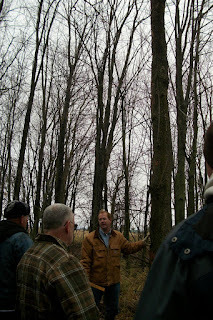 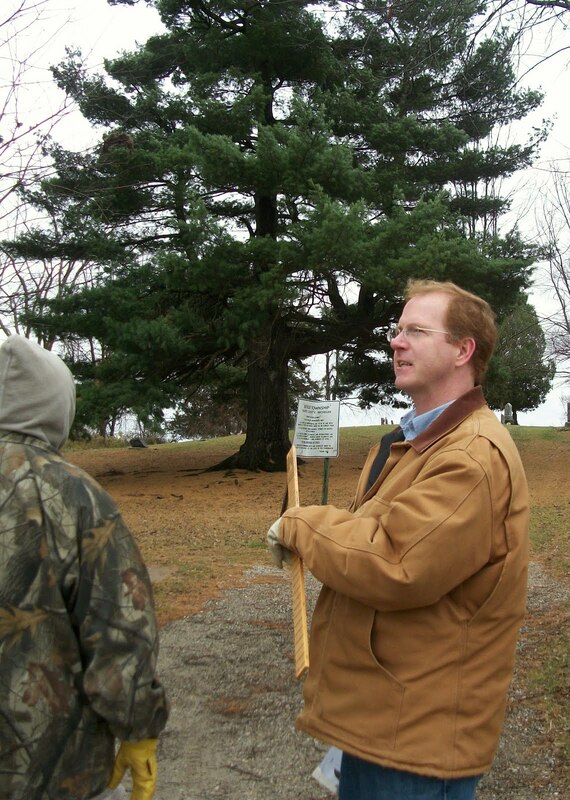 Upon entering the North Woods, we came across a tree which showed signs of infestation by the Emerald Ash Borer. 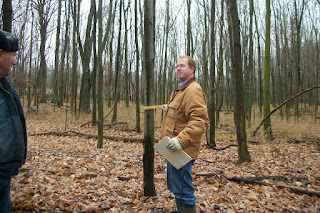 Forester Mike Smalligan pointed out that because the tree was so close to the trail, it would be important to take the tree down once it has died from the infestation. 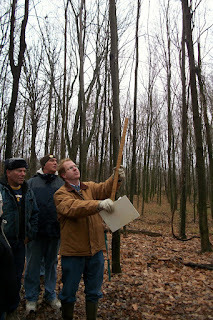 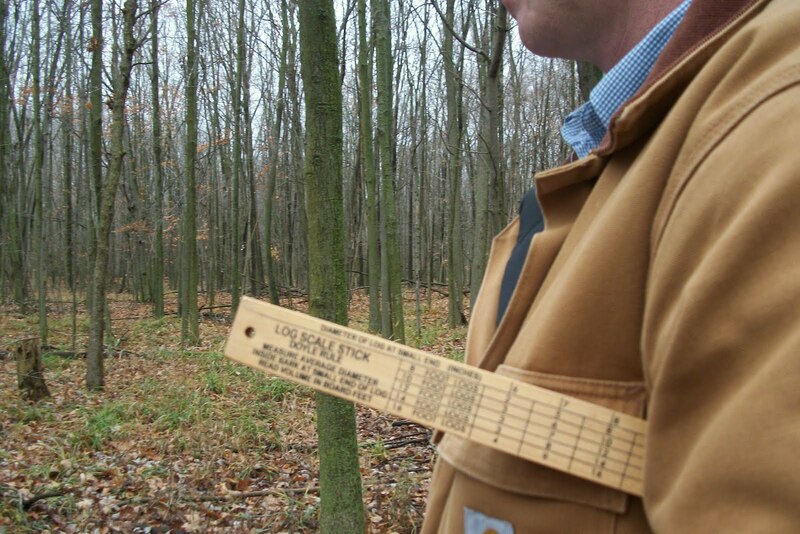 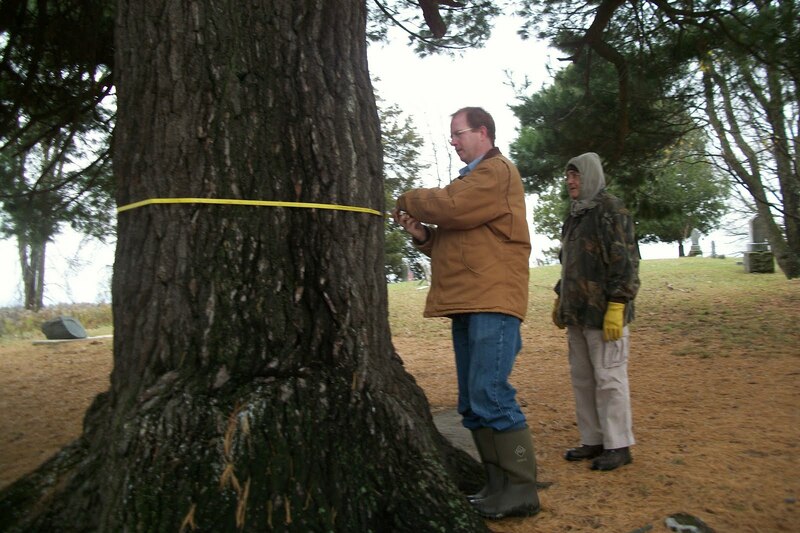 Next we began a demo on measuring trees! It's a mystery to discover! 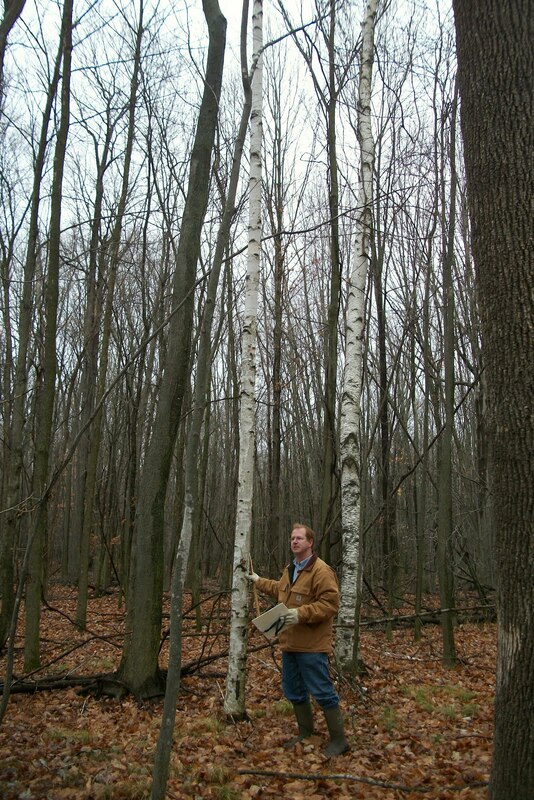 Why are these Birch trees here? 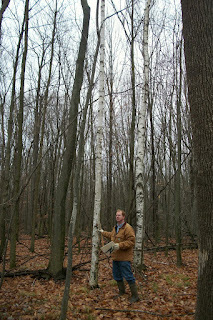 And why are they the only two Birch trees in the entire North Words? 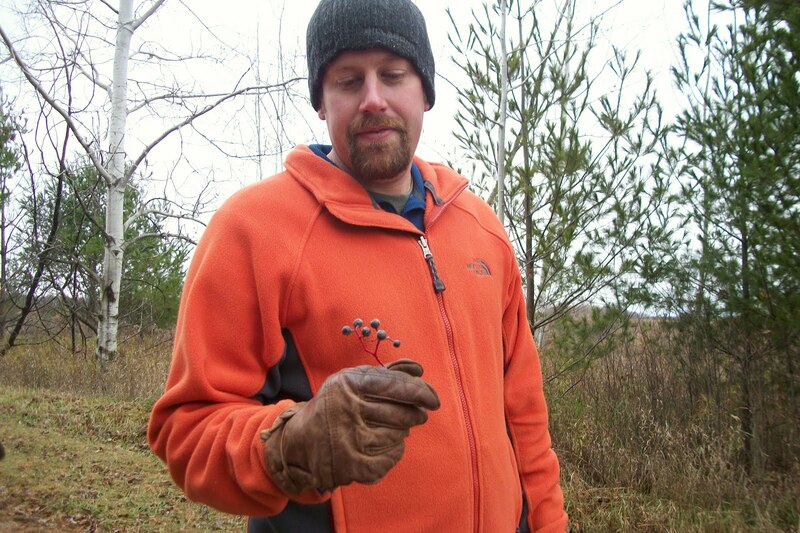 Gratiot Conservation District is honored to have on staff Michigan Agricultural Environmental Stewardship Program (MAEAP) Technician John Switzer and Biologist Jeff Kalin. 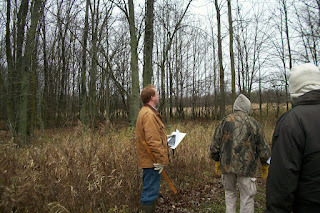 We were glad to have them along, as they added a good deal of expertise. 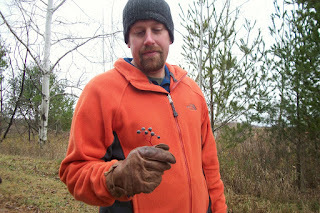 We found a strange fungi for which none of us knew the name. We decided it would be an interesting thing to research and maybe even include some lessons on this in our future curriculum. 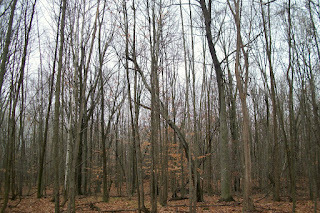 I took a picture of this leaning tree just because it looked cool! 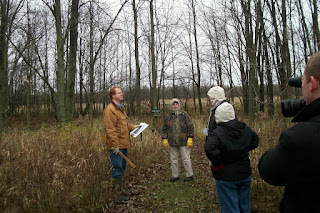 While standing near the Succession Field, we discussed the differences between invasive species and exotic species. For example, Box Elder trees are invasive but not exotic whereas Autumn Olive is exotic and invasive. "Just because my name is John doesn't mean that I like apples!" 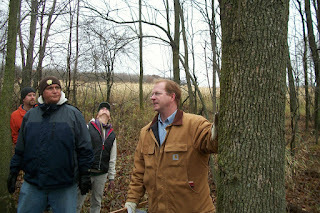 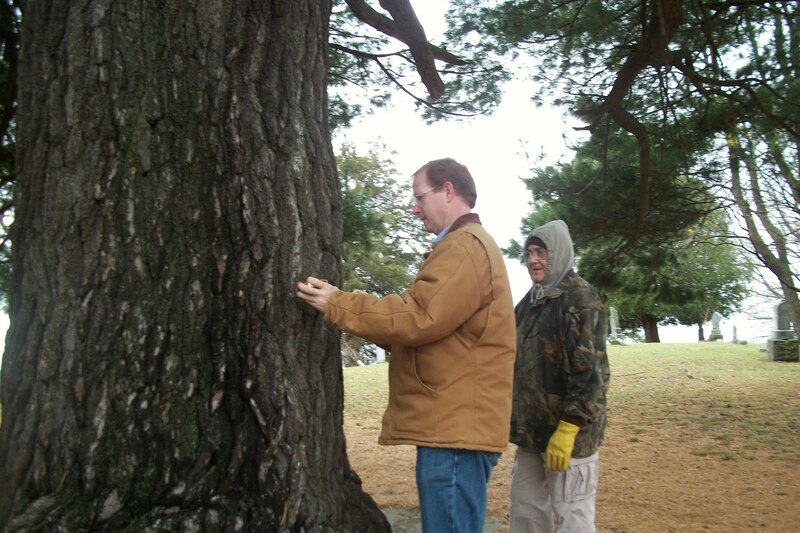 Director of Forest Hill Nature Area Dr. Dave DeGraaf and Forester Mike Smalligan look up information to help one of our guides identify a particularly interesting tree. 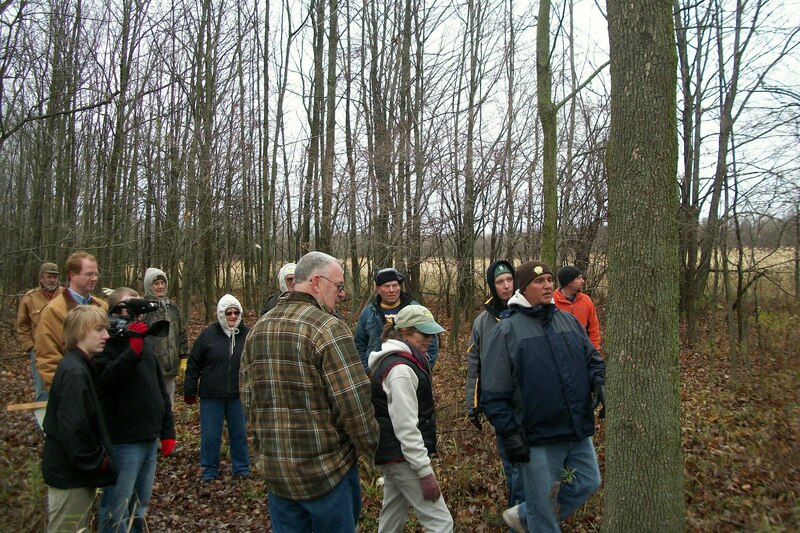 They look...stumped! 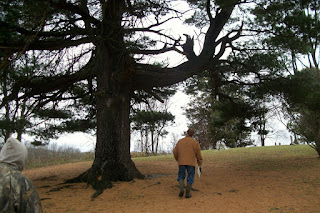 Trudging up the hill towards Artist's Overlook. The kids love it when we show them these deer bones. 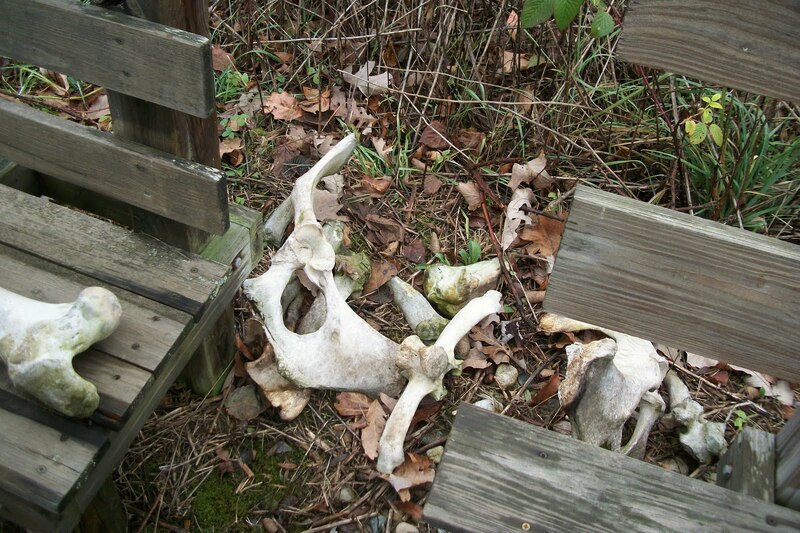 We always ask them if they know what kind of animal they came from. 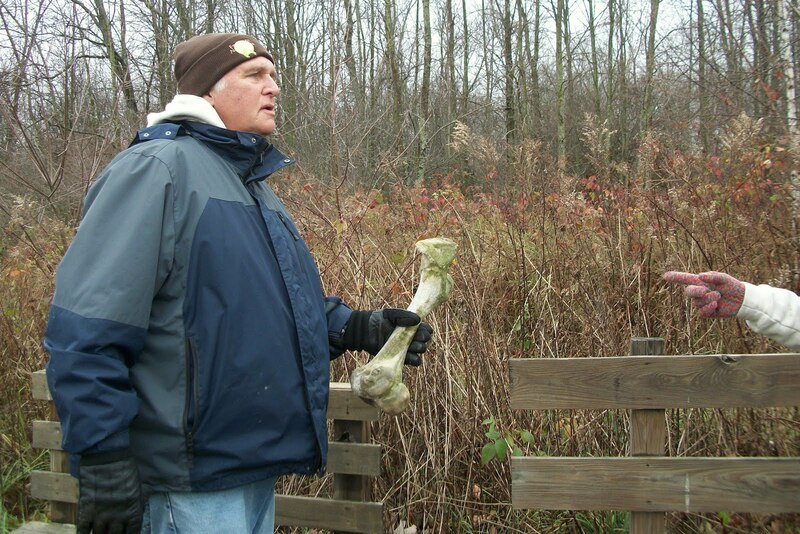 Inevitably someone always answers "dinosaurs!" 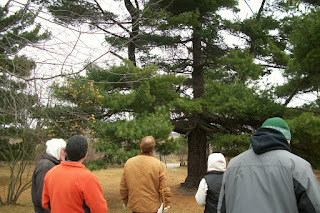 That is a fascinating White Pine! 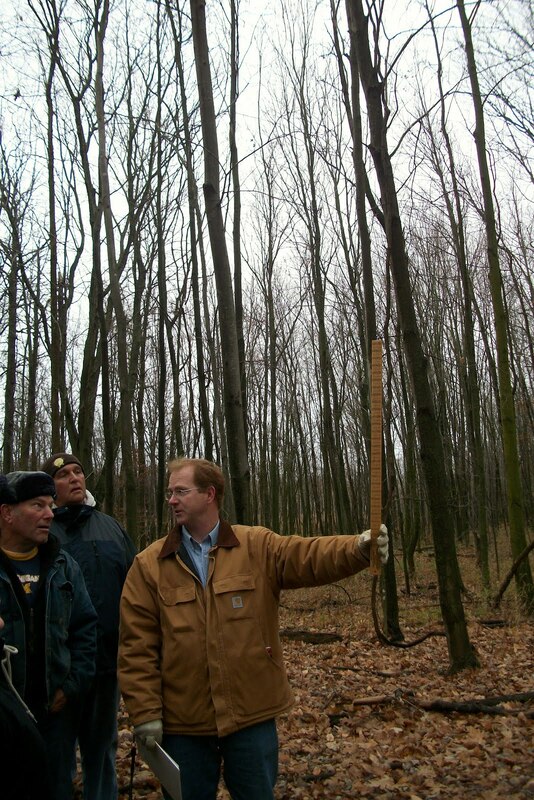 Bit of trivia: do you know the name of Michigan's State Tree? 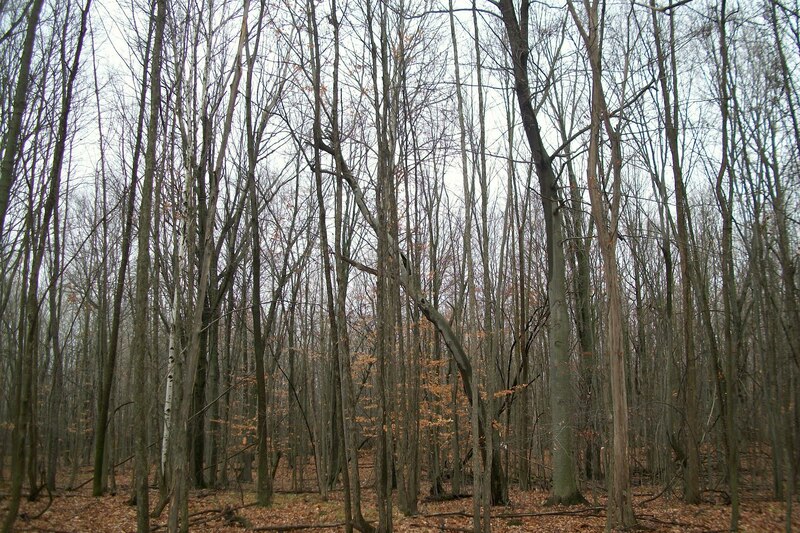 Hint: you're looking at it! 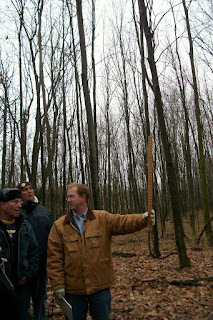 Let's see how big it is! Forty five point seven inches! 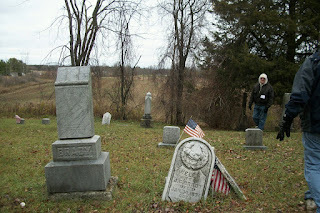 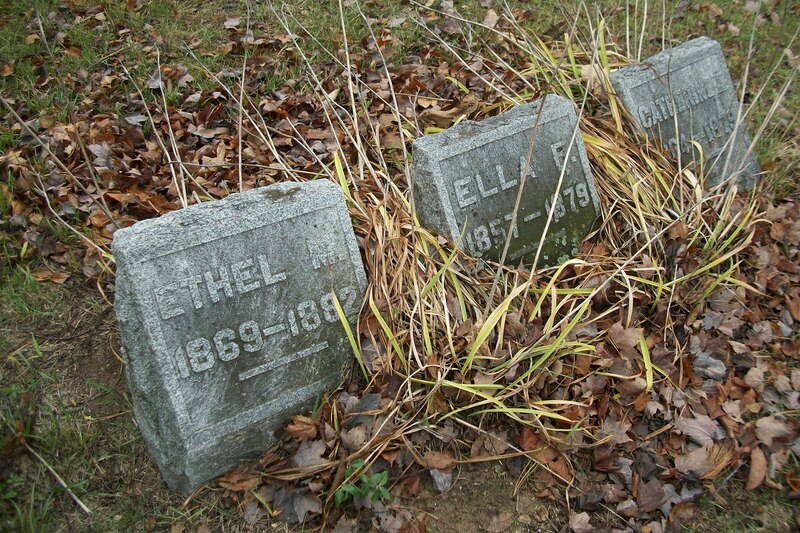 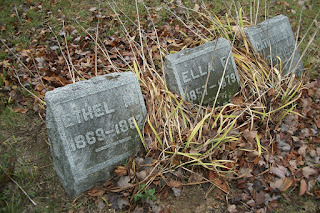 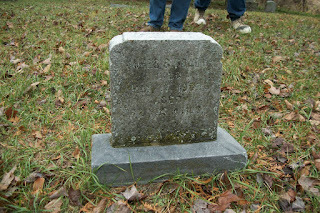 Some of the stones date back to the Civil War. 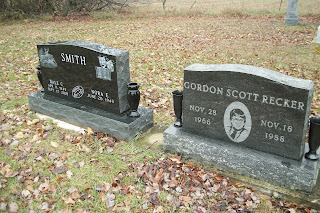 And some are much more recent. 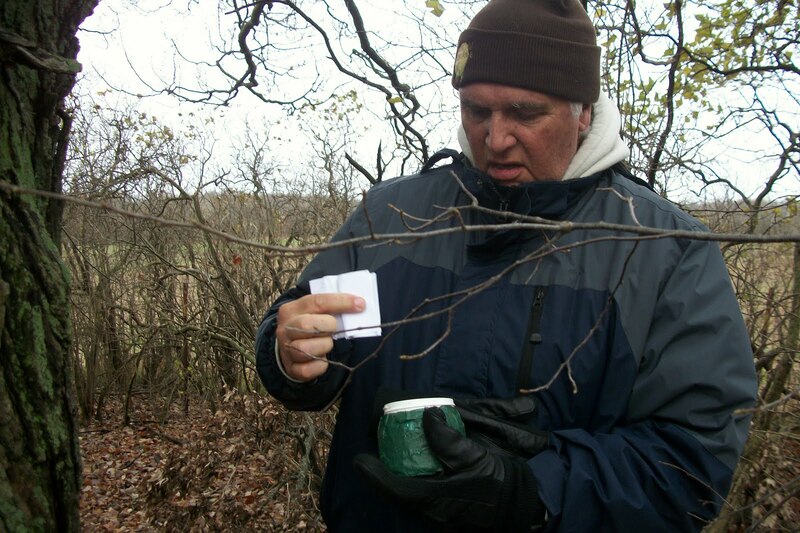 Ever done any Geocaching? We have two of them here! 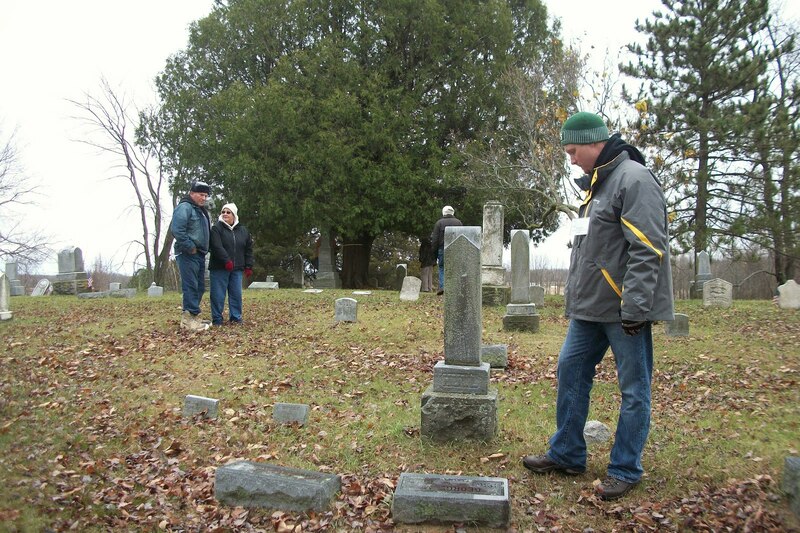 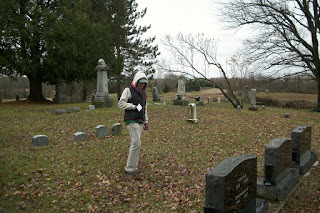 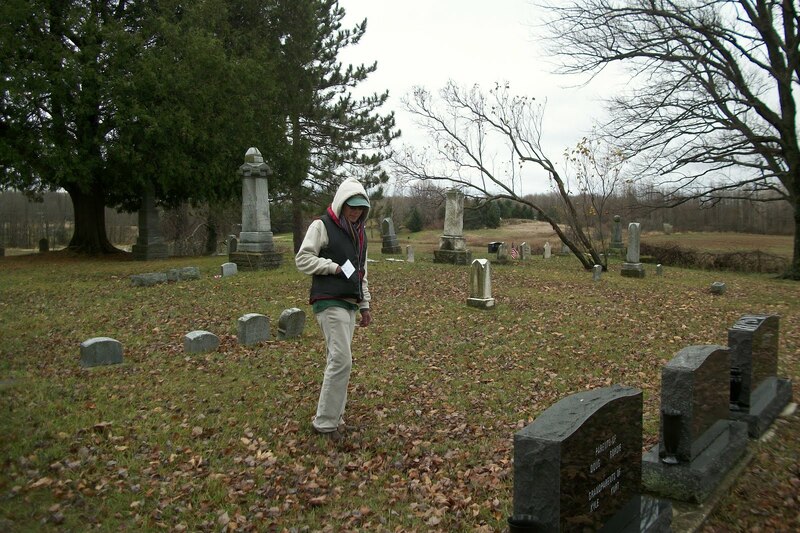 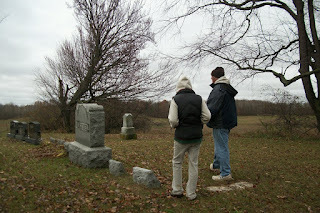 One in Brady Cemetery and one on Reflection Hill. 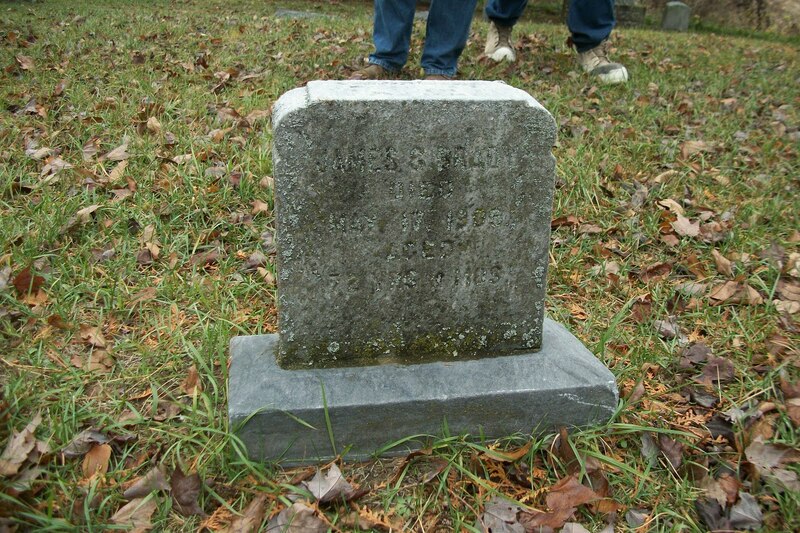 This is possibly one of the oldest stones in the cemetery, but we can't tell because it's weathered so much that it's impossible to read. We're still amazed by that White Pine! Heading back to the barn...I did not want the hike to end. 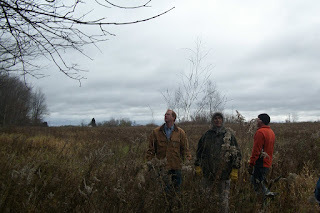 This was a great day! 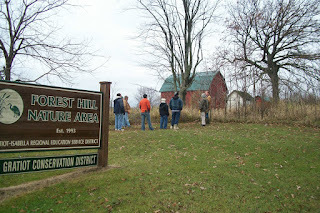 Several of us stayed in the classroom building for another half hour or so discussing ways to incorporate some of the things we learned into future activities, including Director of Forest Hill Nature Area Dr. Dave DeGraaf, Forester Mike Smalligan and myself.